I may be thought of as talking my own book here, as someone with mostly gray hair on my head! However, it was interesting to hear Federer following his win over Davydenko in the week and prior to his third round match with Bernard Tomic. When asked to comment on his upcoming match with Tomic he provided some interesting insights as to why, even in the world of professional sport an age old veteran in the twilight of his career still delivers both in performance and result. While he said that younger players can improve quickly and he indeed he expected him to be more of a challenge than his meeting with him last year, he stated that he had so much more experience than Tomic. His experience going back over a dozen years playing at the top level and having completed over 1000 tour matches meant that he had faced just about every circumstance on court, including the intensity of a night session at a slam and the pressure of a five set match. 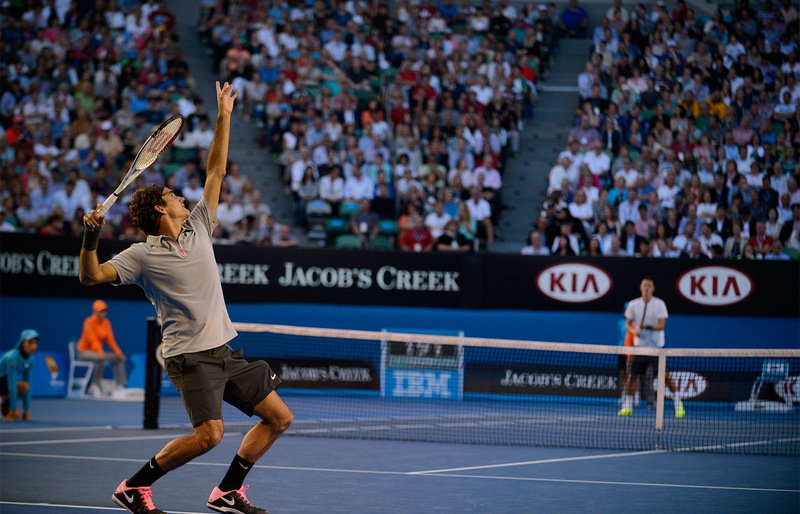 No variation in length of rally or match would be new to him, he’d been there. He was acutely aware of the things he could do now against an opponent that he couldn’t do previously. When thought of as potentially physically weaker a few years ago than the emerging Nadal he had worked on this so that he built an aura of getting stronger through matches. Despite at 31 being considered at or near the end of his career, he said “I would hope I’m a better player today”. Indeed during the Tomic match commentary on Eurosport, Mats Wilander offered the opinion that Federer’s half volley backhand was definitely one stroke that had improved. So back to talking my own book in a business context, as someone of mature years, in leading major change programmes my observations are that experience delivers. Though to clarify, it is a certain type of experience and character – certainly those who’ve seen a range of situations over the years but also continue to learn and innovate to become more effective, to use that experience to meet the challenges that come along, as well as to challenge oneself. The desire to continue to improve at whatever stage of career is a common characteristic of great performers.